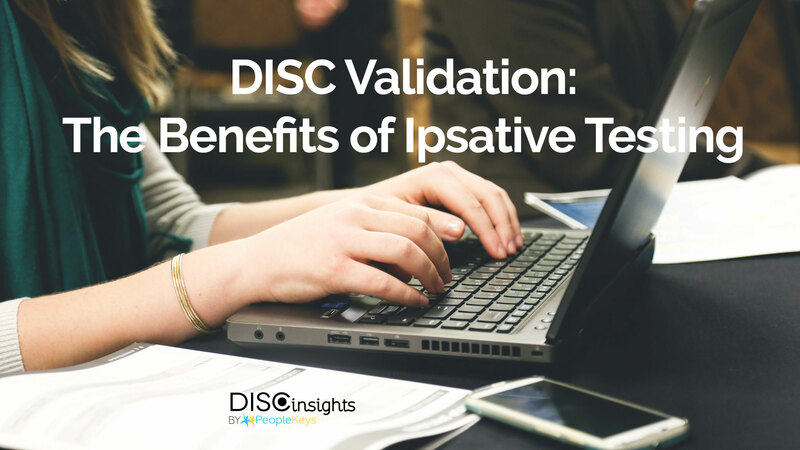 So, what is ipsative testing, and why do we use it? Let’s start with a general overview of ipsative testing. An easy way to think of ipsative testing is as a “forced choice” model. This means that we offer you a list of choices to pick from, and you select the best option. Imagine that you are given a normative questionnaire by a potential employer and asked to rank the degree to which you are self-motivated (as in the normative question example above). In this question, it’s fairly obvious that the higher the degree of self-motivation you choose for yourself, the more favorably you would be looked upon by your employer. Self-motivation is a desirable trait. Therefore, when taking the test you might be incentivized to rank yourself higher on self-motivation than you might actually measure in reality. “Desirable” traits are often easy to spot in normative tests. And knowing that your results will eventually be compared against results of other test-takers (comparing test results between users to form a “bell curve” is another hallmark of normative tests, one not used in ipsative testing), may encourage falsifying results to make yourself look better. When it comes to personality tests, ipsative tests don’t stack the deck in the way that normative tests often do. With an ipsative test, you simply identify statements that are “most accurate” and “least accurate” in terms of everyday behavior. All of the options are equally positive, just different ways of expressing personality. In an office environment, is it better to be sociable? Optimistic? Analytical? A peacemaker? You can see by looking at the ipsative question that it’s easier to be honest, since the personality traits are all beneficial. That kind of honesty is important to encourage, especially in personality testing. Personality types are different from each other, each with their own set of unique strengths. Finding ways for different personality types to succeed in a given environment is the goal of DISC. The more accurately we can pinpoint your personality style blend, the better. In addition, the binary forced-choice system of ipsative testing is thought to more closely mirror the way that we actually think about ourselves. This makes the test-taking experience fun, easy, and far less frustrating than attempting to impose an artificial sliding scale onto your personality traits. There are more complexities to the differences between ipsative and normative testing, and mountains of research to be digested. But, we hope this gives you a bit of insight into the choices we make when we construct our tests. Behavioral analysis is a field guided and informed by science, and the choices we make are all done with the goal of producing the best testing instrument possible. Curious to learn more about DISC and how to apply it for coaching, consulting or hiring? Become a Certified Behavioral Consultant and join an army of experts in DISC.